alaTest har samlet og analyseret 442 anmeldelser fra magasiner og hjemmesider. Anmeldere kan virkelig godt lide pålideligheden. Gennemsnitligt vurderede brugere dette produkt til 95/100 og eksperter vurderede dette produkt 85/100. 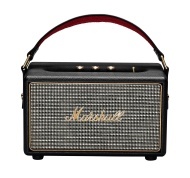 A stylish speaker with sound worthy of the Marshall name. The Marshall Kilburn portable Bluetooth speaker delivers a powerful audio performance that can be tweaked to your liking. Excellent audio performance with adjustable bass and treble. Cool retro amplifier design. No speakerphone functionality. Unique look isn't for everyone. 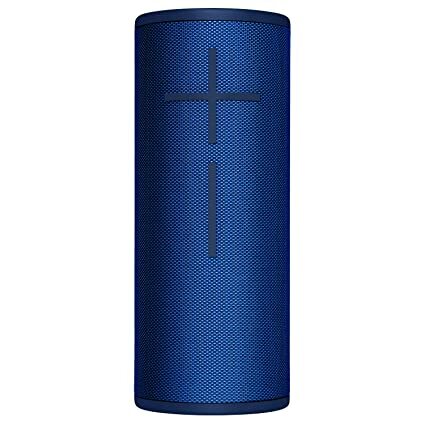 You'll pay extra for the branding, but this is a strong and well-designed speaker, even it it isn't built by the company famous for its "Marshall stack." Combine that with superb build quality and an absolutely incredible attention to detail and you have a real winner. It’s just a shame that Marshall couldn’t push the sound quality up to 11.